Medical malpractice occurs when a health care professional or provider neglects to provide appropriate treatment, omits to take an appropriate action, or gives substandard treatment that causes harm, injury, or death to a patient.The malpractice or negligence normally involves a medical error. This could be in diagnosis, medication dosage, health management, treatment, or aftercare. Medical malpractice law makes it possible for patients to recover compensation from any harms that result from sub-standard treatment. According to the Medical Malpractice Center, in the United States, there are between 15,000 and 19,000 medical malpractice suits against doctors every year. The standards and regulations for medical malpractice can differ between countries and states. A hospital, doctor, or other health care professional is expected to provide a certain standard of care. The professional is not liable for all the harms a patient experiences. However, they are legally responsible if the patient experiences harm or injury because the health provider deviated from the quality of care that is normally expected in similar situations. According to malpractice lawyers in the U.S., for medical malpractice to be considered, a number of factors must be involved. 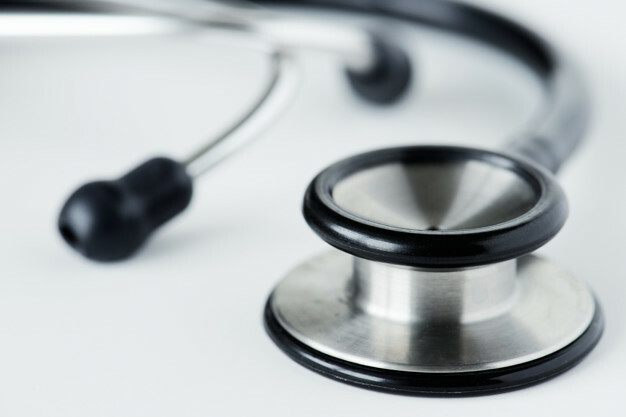 Failure to provide a proper standard of care: The law requires that health care professionals adhere to certain standards, or potentially face an accusation of negligence. An injury results from negligence: If a patient feels the provider was negligent, but no harm or injury occurs, there can be no claim. The patient must prove that negligence caused injury or harm, and that, without the negligence, it would not have happened. The injury must have damaging consequences: The patient must show that the injury or harm caused by the medical negligence resulted in considerable damage. The injured patient must show that the physician acted negligently in rendering care, and that such negligence resulted in injury. To do so, four legal elements must be proven: (1) a professional duty owed to the patient; (2) breach of such duty; (3) injury caused by the breach; and (4) resulting damages. This includes doing nothing when they should have done something. This may be considered an act of omission or a negligence. Dissatisfaction with the outcome of treatment does not imply malpractice. It is only malpractice when there are negligence and injury and negligence causes the harm or injury. Other serious incidents in the past have included fires in hospitals and patients committing suicide while in the care of health staff. A team from the University of Illinois reported in Annals of Pharmacotherapy that blood thinners make up about 7 percent of all medication errors in hospitalized patients. Blood thinners can lower the risk of stroke and heart attack by preventing clots from developing in the veins and arteries, but at higher doses, they can also increase the risk of bleeding. In 2013, the BMJ published findings indicating that the main cause of malpractice was misdiagnosis or delayed diagnosis. In 2016, Johns Hopkins scientists suggested that medical errors should rank as the third leading cause of death in the U.S., after heart disease and cancer. However, it is unclear exactly how many deaths result from malpractice. Measures that have reduced the incidence of infringements by hospitals include the establishment of guidelines for best practice, and sustained implementation of hand hygiene rules. If the patient does not give informed consent to a medical procedure, the doctor or health care provider may be liable if the procedure results in harm or injury, even if it was carried out perfectly. If a surgeon does not inform the patient that a procedure involves a 30-percent risk of losing a limb, and the patient loses a limb, the doctor will be liable, even if the operation was done perfectly. This is because the patient may have opted not to go ahead if they had been informed of the risks. What does a malpractice case involve? The plaintiff is the person who complains. This can be the patient, a legally designated person who acts on the patient's behalf, or if the patient died, the executor or administrator of the patient's estate. In legal terms, the plaintiff is the person who brings a case against another in a court of law, the person who initiates the suit, the one who is suing. The defendant is the party who is being sued. In a medical malpractice suit it is the health care provider. This could be a doctor, a nurse, a therapist, or any medical provider. Even those who were "following orders" may be liable for negligent acts. The prevailing party is the party who wins the case, whether the plaintiff or the defendant. If the defendant wins the case, the plaintiff has lost and will receive no compensation. The losing party is the party who loses the case. The fact-finder is the judge or the jury. First, the plaintiff or their legal representative must file a lawsuit in a court of law. Before the trial begins, the plaintiff and the defendant have to share information through discovery. This may include requests for documents, depositions, and interrogatories. The parties can settle out of court, if they come to an agreement. In this case, the case will not go to trial. If they do not agree, the case will proceed to trial. The plaintiff has to prove compellingly that the defendant was negligent. In most trials, both the defendant and plaintiff will present experts to explain what standard of care was required. The fact-finder must then consider all the evidence and decide which party is the most credible. A verdict will be given by the fact-finder for the prevailing party. In other words, the judge will decide who wins. If it is the plaintiff, the judge will then decide on damages. The losing party may ask for a new trial. In some courts, if the plaintiff wants a larger settlement, they may move for additur, which means asking for an assessment of the damages and awarding a larger amount. If the defendant is dissatisfied with a large judgment, they may move for remittitur, which means they ask the court to reduce the amount of damages. Either party may take an appeal from the judgment. What kind of damages can the plaintiff get? The plaintiff may be awarded compensatory and punitive damages. Compensatory damages may include economic damages, including lost earning capacity, life care expenses, and medical expenses. Usually, past and future losses are assessed. Compensatory damages may also include non-economic damages, which assesses the injury itself, psychological and physical harm, such as losing one's vision or legs, extreme pain, and emotional distress. Punitive damages are only awarded if the defendant is found guilty of malicious or willful misconduct. Punitive damages is a form of punishment. It is compensation in addition to actual damages. Lawsuits tend to be costly, time consuming, and stressful. Anyone who is considering starting a lawsuit should weigh up the possible pros and cons before taking action. If the injury is minor, the patient may spend more on the lawsuit than the eventual money they will recover.